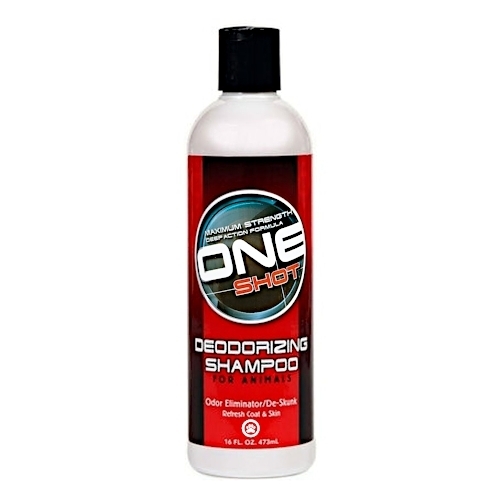 One Shot Deodorizing Shampoo penetrates deep to encapsulate, break down & disperse odors at the molecular level. Simply wash, rinse and dry. Keeps odors from reappearing. Works on a wide variety of odors including skunk, manure, urine, must & mildew, and more! Leaves your animals coat and skin conditioned and smelling fresh & clean.